Go paperless and record your expenses and receipts from the office or on the go with our web-based expense tracking and reporting. 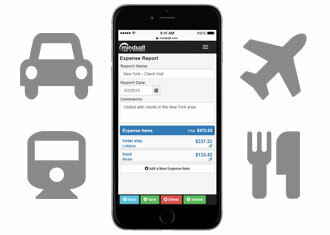 Streamline your expense report process, keep tabs on your company's expenses, and simplify your reimbursement process. Enter expenses while you are out of the office and as the expenses are incurred. 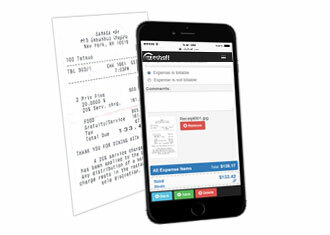 Stay organized and store your receipts electronically. With a camera enabled iPhone or Android device you may instantly capture receipt images and attach them to your expense reports. 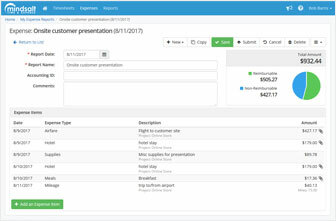 Employee managers, project managers, and other approvers can approve expenses with a single click. 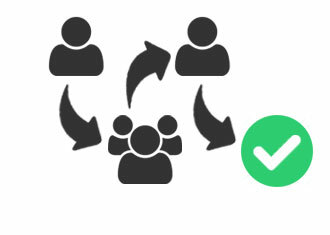 Configure basic or advanced approval workflows to suit your needs. 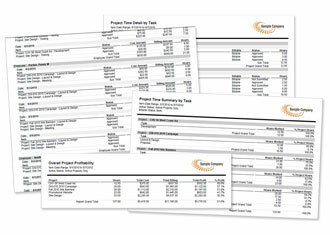 Categorize and report on your expenses by type, by payment method, by client, and by project.